I have always been a sucker for happy endings. I am a die-hard Romantic, who believes that everyone deserves to find his/her perfect partner: the One with whom a lifetime seems not only desirable, but infinitely necessary. 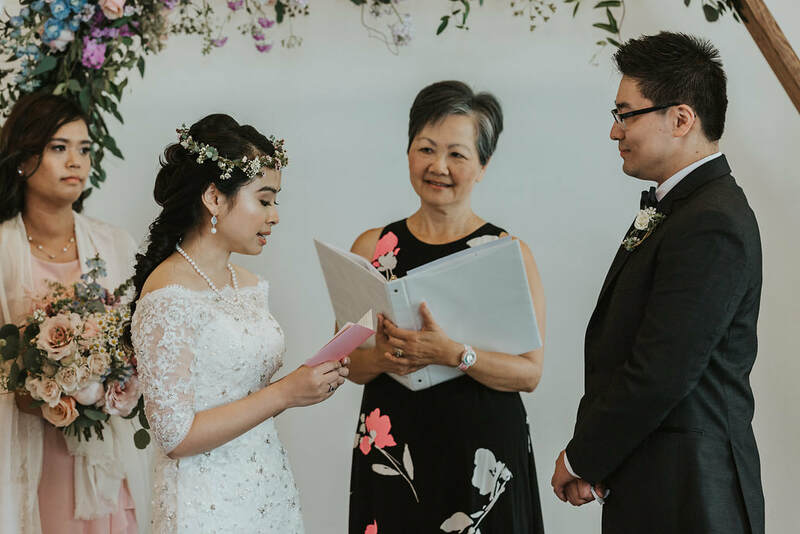 I became a Wedding Chaplain in order to be a small--but integral--part of a couple’s special day, when they gather their family and friends together to witness their act of commitment to each other. There are moments of almost unbearable happiness: tears of joy--yes, mine too--when the groom sees his bride coming down the aisle, heading towards him and their future together. There are solemn vows; mangled phrases; nervous giggles; white knuckles; dropped rings, and, my favourite, a crumpled kleenex hauled out of a low-cut, pearl-encrusted, lacy bodice. Family and friends smile and sniffle, ooh and aah, hoot and holler as they bear witness to this timeless rite of commitment. When you choose me to be your Chaplain, the first thing I do is arrange a meeting to get to know you. Over a few meetings, together we craft the ceremony to your desires and specifications. Unity candle? Check. Own vows? Start composing. Your dog as Ring Bearer? Fabulous. Your great-uncle Lewis in top hat and tails to dance you down the aisle? Of course. In other words, it’s what YOU want--because, in this instance, it is ALL about YOU. I have templates and suggestions which I give you, in case you need them; otherwise, what results from our meetings is the ceremony of your dreams. I also run the rehearsal--yes, because I’m naturally bossy (after three decades wrangling teenagers as a secondary school English teacher), but also because it will be one thing fewer on your really long “To Do” list. I look forward to being that small--but integral--part of your amazing day, the day you stand before your family and friends and declare that you want to begin, or continue, your life’s journey together as One: Hand-in-hand you want to publicly commit yourselves to building a life and a family, to grow in love and laughter and joy. A wise man once said, “Unless commitment is made, there are only promises and hopes, but no plans.” Let me help you create, and officiate, the ceremony that is the beginning of your plans for a lifetime...together. Grace- Thank you so much for everything. You were such an amazing part of our wedding and made our special day go off without a hitch. We loved your opening remarks and how personal they were. They really made the whole ceremony so special. We will remember them forever. Everyone (us included) was in awe at how magical the ceremony was. The best Marriage Officiant ever!!! When we were looking for a wedding officiant, a couple of our recently-married friends recommended Grace, and we couldn't be happier. Working with Grace was an absolutely wonderful experience from day one. We first met with her at a coffee shop, where she got to know us a little bit as a couple (how we met, what we value as a couple, what we cherish about the other person, etc.). 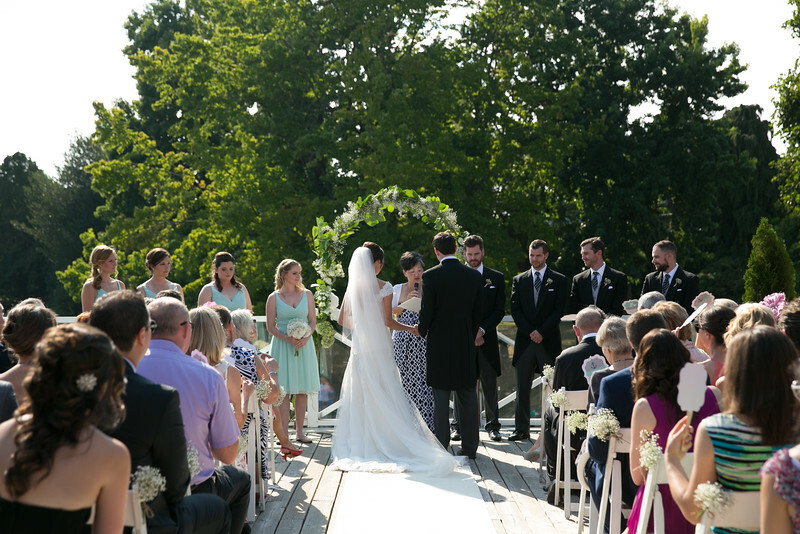 After this meeting, Grace worked with us to see if we had any specific readings we wanted to include, and helped us put together a completely personalized ceremony. All throughout this process Grace was responsive, attentive, and efficient. Based on our initial meeting, Grace even wrote a personalized ceremony introduction, which was the perfect balance of heartwarming and humorous. We would like to thank you for making our wedding day a special and memorable one. You were very supportive, helpful and patient with us every step of the way. We loved your opening comments and your humor - it helped set the tone for the rest of the evening.If we have friends getting married in the future, we would definitely recommend you to them! We got married last July 12,2014. 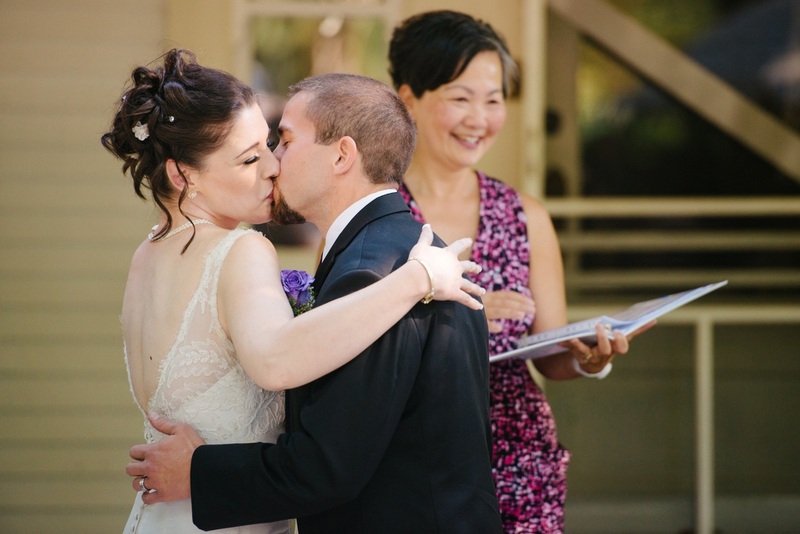 Grace conducted our ceremony and we were so happy and blessed to found her.She is very organized and efficient. She will guide you every step of the way to the end. She will work with you no matter how you want to do your wedding. It's all your choice, and she will help you with in everything. Her rates are very fair. We will always remember her because she was part the best day of our lives. We will meet her again soon as one of our friends is getting married this August..So don't wait longer; email or call her so you get your spot booked. Well Mrs. Fatkin, I've had an image in my mind of exactly what I wanted for my wedding, and with the help of you and the members of my family (and the decorator and caterers!) my wedding was not at all what I had in mind, because it was better than I ever could have imagined! All the help you gve me was fantastic. All of the meetings, coming in to Walnut Grove, and the reminders were great! I felt like the whole time we were always on the same page and there were no suprises. My favorite part of having you as my officiate was your organization (wow, big surprise!) and of course the fact that someone so close to the family could be such a crucial part to my big day! Mum and Dad both agree that you made all the "paper work" of the wedding so effortless it was not a stress at all! I thank you so much for all your help! Before we met, we were already drawn to your outgoing personality we could sense through your emails. You were so accommodating and flexible, even making the trek from Port Moody all the way to Yaletown to meet us. You made our ceremony special. You engaged our guests. You were encouraging. You reminded us to breathe when we forgot. And all of our guests loved you. They asked if we wrote our own vows - we had to give you the credit. It goes without saying that a young woman’s wedding day is the most important day of her life, and she hopes that it will be perfect in every way! Having said that, on June 15th. 2013, my hope of a perfect day came to be, and my wedding day was truly one that a woman could only dream of. As you can imagine there is a tremendous amount of planning that goes into a wedding, and I am so grateful for everyone that helped me turn my dream day into reality, especially Grace Fatkin who officiated over our wedding ceremony. Knowing how important it was to capture the essence of us as a couple prior to the ceremony, Grace took the time to really get to know us, so she could personalize and tailor the experience especially for us. Well, needless to say, our wedding ceremony was awesome and so well done, that when we get together with friends we still talk about it. The ceremony in particular was stress free, and more than we had ever hoped for because it was as if one of our wonderful friends was doing the officiating. In Grace’s own unique way, she brought warmth, sensitivity, humor, and that personal caring touch you just don’t see in many other wedding ceremonies. She definitely made it personal for us. As you will soon come to find out, the wedding day is one of, if not the, most stressful days of a young couple’s lives. But although the anxiety of hoping that everything will go as planned is very real, it is unnecessary if you have the right people in control of the day’s events. Well, our wedding ceremony’s right person was Grace Fatkin. Grace is a consummate professional, with an incredible attention to detail, whose coordination resulted in a stress-free, picture- perfect day for us. The moment we knew that we would be able to enjoy our special day, instead of worrying about all that could go wrong, was when Grace said to me, “Don’t worry, Jana and Lorin. I have everything under control, and I’m here to help you both every step of the way.” And she definitely was! Well that pretty much says it all, and there really isn’t much more to add, except that we are huge fans of Grace and that we definitely recommend you get her to officiate over your wedding! Her presence will take an already great day to a whole new level. She is Awesome! Wade and I just wanted to thank you, Grace, for such an amazing ceremony! Your welcome and remarks about marriage and commitment were right on and very fitting. We really enjoyed the Frank Sinatra song; you did a fantastic job singing it and the lyrics were so true. Even the weather turned out perfectly in the end! Our guests remarked how much they enjoyed it as well. I just wanted to say a big thank you for being a part of our wedding. Grace, you did such an incredible job of the ceremony and it was honestly everything Bruce and I hoped it would be. You infused the ceremony with such warmth and enthusiasm, and it was beautiful from start to finish. We've had so many compliments on how lovely it all was- and several people have told me specifically it's the nicest ceremony they've ever attended. It's just been on my mind lately to let you know how much we loved what you said and just that we're so completely happy with how everything turned out. 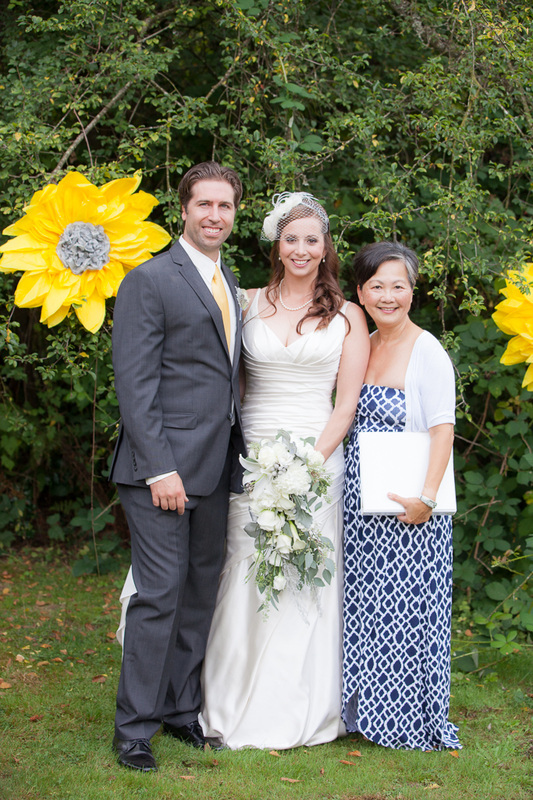 Grace; Christine and I wanted to send a note of eternal appreciation for making our special day so incredible. Your wit, examples and words of wisdom were so perfectly chosen and delivered. We felt you really paid attention to the details of our relationship and really listened to us in our initial meetings together. Please know we'll always remember you with fondness and heartfelt gratitude. Grace is kind, funny and thoughtful. She’s the type of person who, from the moment you meet her, you feel like you’re talking to a close friend. Grace met with us twice before our wedding and ran our rehearsal. During our coffee meetings, we stepped outside the whirlwind of planning the big day to reflect on our relationship – to talk about how we met, why we love each other and share our hopes for the future. Grace listened and asked questions. She really got to know us. Grace was truly a source of support in the months leading up to our wedding – sending us reminders before we ever had to ask. She tailored our ceremony to our relationship using the stories and values we shared with her. Grace went above and beyond. Grace, We just wanted to say thank you so very much for all your help and services for our July 9, 2016 wedding. It was the most beautiful and spectacular ceremony and everything I ever wished, dreamed and hoped for. Chris had his Opa's napkin in his jacket pocket, and offered it to me during the ceremony! I told him that would make me cry even more but it was so special knowing that he was up there with us while we were getting married, and that you were able to present our love story/tribute to our grandparents to all of our family and friends. Everyone has commented on how amazing you were and that you really did a wonderful job. It wasn't too short, wasn't too long, had some humour but sentimental and most of all you took the time to grab the Maid of Honour, Best Man, Groom, Parents and Bride to walk them through everything before the ceremony even started. Veronica says: My now husband and I had the privilege of working with Grace for our beautiful thanksgiving wedding, and she was absolutely wonderful. She got to know us both over two sit down meetings and from there put together a wonderful ceremony which all of our guests complimented us on. She spoke with confidence, and ease and was a big help during our walk through the night before the wedding. I would highly recommend her!